This year marks our 30th anniversary of Mac-House’s founding in June 1990. We would like to express our deepest gratitude to all of our stakeholders for their support. 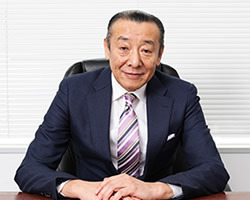 As I have been appointed as president at this milestone, I am strongly motivated to make the company that can survive for another 40 or 50 years to come. I recognize that there are many tasks and hardship to overcome. It is my mission to make the stores attractive and re-build the store brand royalty, as well as make the company which employees feel rewarding to work for. With the experiences I have acquired being in the casual-wear retail business by now, I will commit myself to do my utmost effort to work on the management and company operation to maximize the corporate value. I look forward to all of our stakeholders, including shareholders, business partners and employees of Mac-House continued support and guidance. has a chain of stores nationwide. Clothing and accessories for men, women, and kids.